The Ultimate Wedding Planning Party: You're engaged - now what? And so, you're engaged... huge congratulations! How did he propose? Or did you? Tell us your proposal story below! While your mind is still reeling [even if you totally expected the proposal! ], and you're enjoying still being on cloud nine [and so you should be], at the forefront of your mind is what to book - right now. The most obvious things to book are: where you have the ceremony and where to have the celebration. It doesn't matter whether you are going for a traditional, full nuptial mass at a Catholic church, or a simple garden wedding officiated by a celebrant - one thing you will find out super-quick is that anything related to a wedding seems to book out at rapid speed. Because while you have it all planned in your head [or maybe you don't just yet, and that's okay too] it doesn't mean someone else hasn't also envisaged your exact same plans, at the exact same time, on the exact same day. It's the very first question you'll get asked... and while you might be thinking, "Sheesh, we just got engaged", you probably have an idea in your mind already: a wedding in your hometown? Or a destination wedding? The next question: what kind of weather would you like to marry in, at this location you've decided on? Sydney in summer? Europe in winter? Bali... well, I guess anytime of the year there seems perfect! Though do be mindful of seasonal weather patterns [rainy seasons, etc]. The time of year does not of course guarantee the kind of day you'll get when the wedding day finally arrives, so be mindful of that and have a wet weather plan in place [if you're marrying in gardens, for example, find and book a canopy where you can have the ceremony in case it buckets down]. Once you establish the place and the season, start narrowing down to the month, then the day [a Saturday or a Sunday? Or a weekday, even? ], then the week. At this point, have a few, say Sundays in September in mind when you go to book. Make simultaneous calls to the venue of your choice. Even if you're having it at a home and getting it catered by your favourite food suppliers, be mindful that they can fill up bookings also. Once these two BIG items on your to-do list are ticked off, you will find that everything will fall into place. If reading this piece has already sent you into hyperventilation mode, you need a wedding planner, stat. 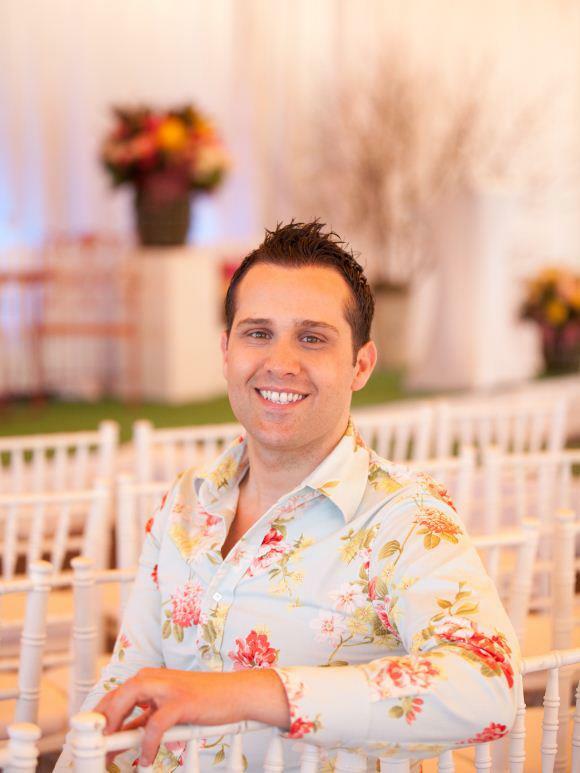 Anthony Del Col is Australia's most renowned party planner, and all things bridal are in his blood. He has been an integral part of the Ultimate Wedding Planning Party [UWPP] since its inception, and will again be at the event imparting his wisdom both on stage and roving around the event, chatting with guests. For more on the UWPP, click here.